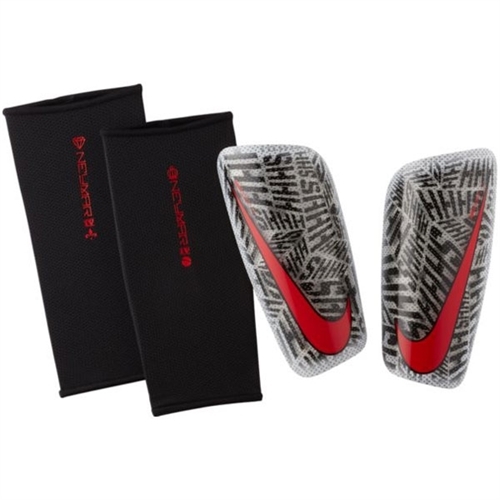 Dri-FIT fabric sleeves keep the guard secure without added bulk. Graphics are inspired by Neymar Jr. Dense foam backing provides impact diffusion and comfort against the skin. Our Nike Neymar Jr Mercurial Lite is Graphically inspired by Neymar's iconic Shhh tattoo, the Neymar Mercurial Lite Shin Guards blend ultra-thin coverage with superior cushioning and impact diffusion for optimal performance that's designed to withstand the demands of the elite-level game.